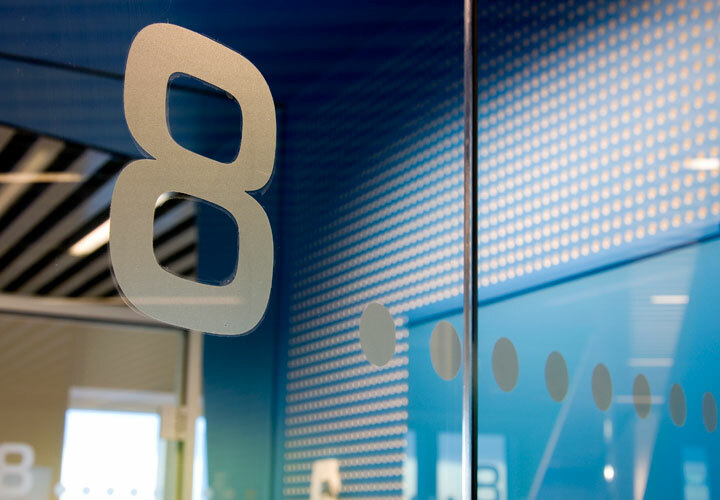 The project consisted in turning an L-shaped floor in an existing building into a new office landscape for construction and property development company NCC. 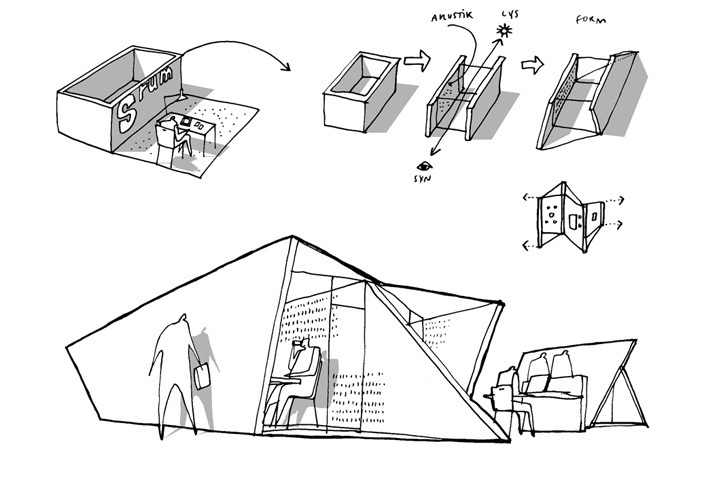 The design is based on a wish for optimal daylight and interior climate conditions as well as for providing a flexible working environment that is adaptable to varying working situations and possible future reorganisations. 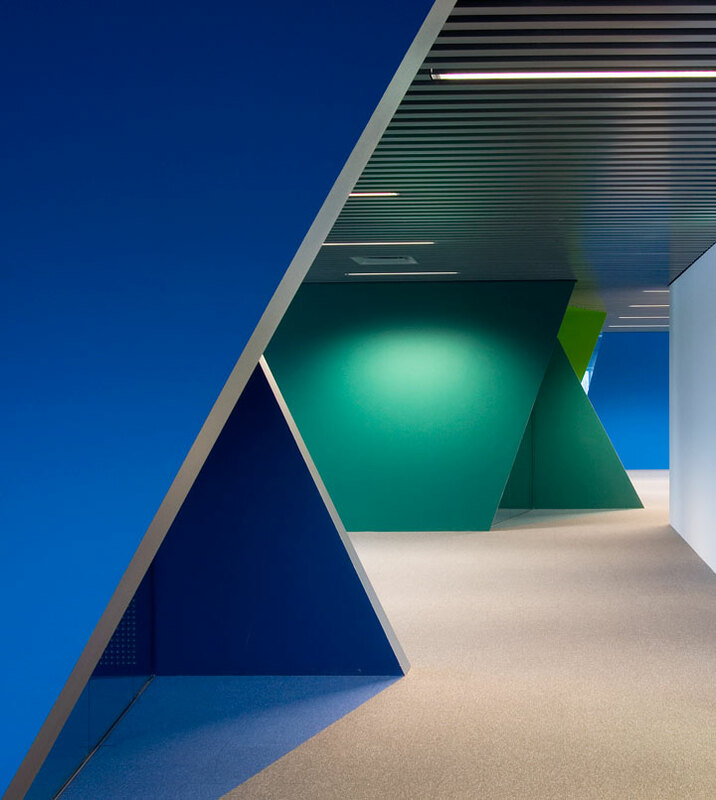 Our design divides and structures the open, continuous space by means of closed units containing meeting, working and quite rooms. 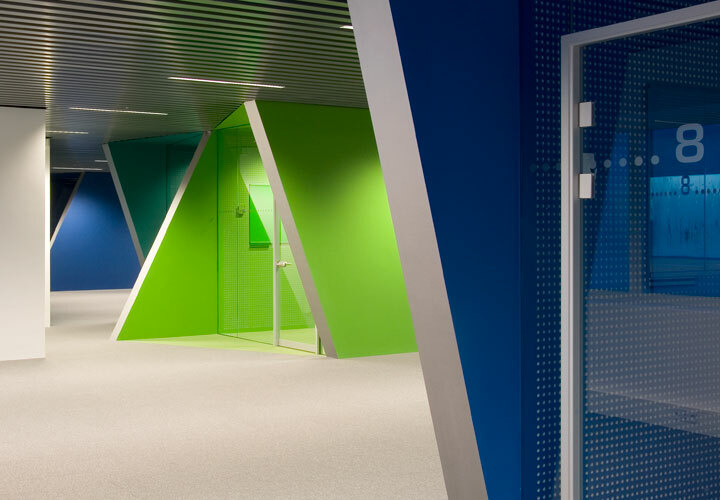 The units consist of distinctive slanting walls in shades of blue and green. These sculptural room dividers create an interesting visual flow and serve as points of orientation regarding the units’ different functions. 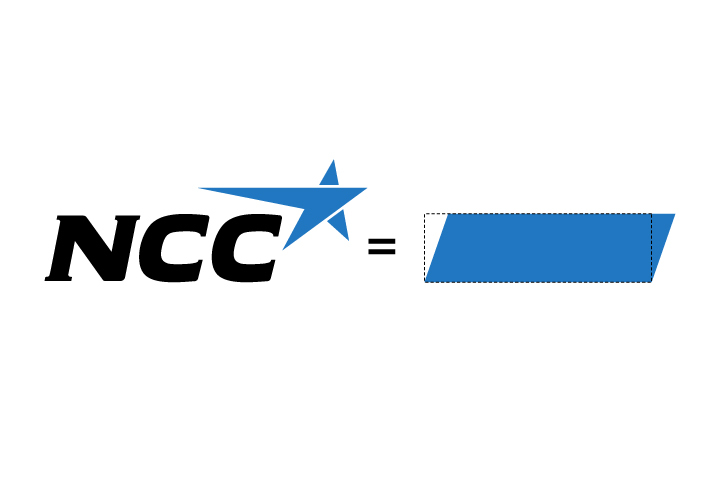 At the same time, the slanting walls refer to NCC’s logo, which is written in italic type next to the company’s well-known blue star. The closed units are mainly pulled back from the outer walls and placed as islands in the centre of the floor area. The work stations and the café area on the other side are located along the windows with regard to daylight and views for the employees. 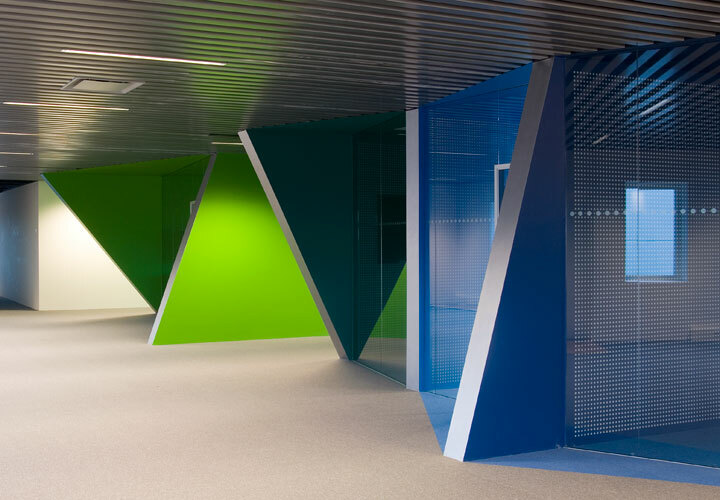 The eye-catching colourful walls are the primary visual point of interest in the office landscape. 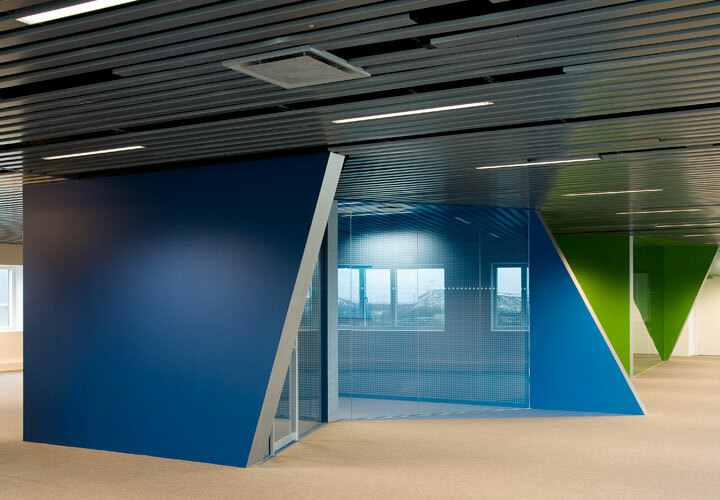 That is why the rest of the office décor is held in neutral colours in order to maintain a visual clarity and order.